There is a beautiful Island on the west coast of Scotland that many of you will know of but not too many of you will have been to. An island that is sometimes overlooked as a distillery destination even though it is but a stones throw away from the whisky Mecca that is Islay. Well, maybe not a stones throw, but I think I could clear the water of the sound with a catapult, smooth rock and a bit of luck. 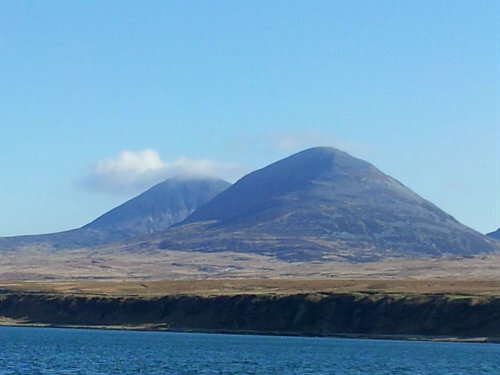 If you’ve not guessed it yet I’m talking about the Isle of Jura. The Isle of Jura is like very few places I have ever been before. I grew up in what most people would think was a quaint country town and I thought I was used to the remoteness of rural life but by the standards of Jura I was raised in a bustling metropolis that was under constant attack by little green men from space. One pub, one hotel and one distillery. That’s Jura. Only around 200 people currently reside on the island and the rest of the population is made up of visitors and the 5,000 local deer. Our time there started with Willie Cochrane, Jura’s long serving distillery manager, giving us the full tour and answering any of the geek-tastic questions that any of our group (i.e. 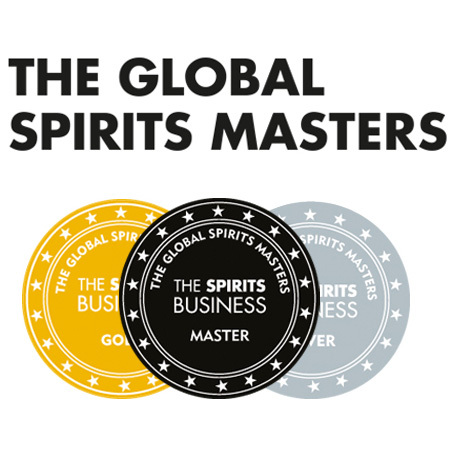 mostly from myself and Gal from Whisky Israel) may have had about the spirit made at the distillery. 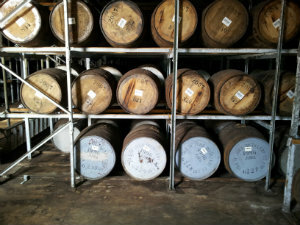 We were not, however, visiting the island just to have a look around their wonderful whisky factory. We were there to experience the island itself and try the newest expression of whisky that they had crafted. I’ll get to the whisky soon but first I’d like to take a moment to explain one of the main things I felt when I came away from the Isle of Jura – the spirit of a real community. It hurts the very core of my brain to try and fathom how much money whisky companies plough into marketing to make their distilleries and whiskies look small, quaint and connected to the rural communities around them. It’s how people like to see the single malt they are drinking. However a lot of the distilleries I have visited have been based several miles from the nearest village or town. I’ve yet to come across a single malt distillery that didn’t have a good community spirit but in most of them I couldn’t help get the impression that the community lay within the distillery themselves and not the wider area. With many of them now open 24 hours a day it makes sense that everyone working there has a real sense of togetherness. 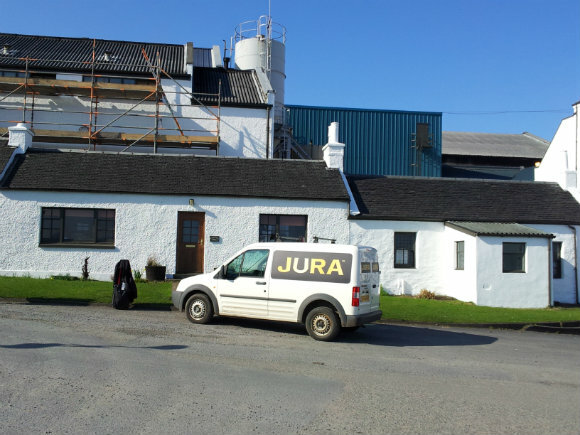 My time on Jura was the first time I really felt the distillery had clear links to the people around it. I’m not trying to say that this is unique to Jura – it’s just the first time I have experienced it. On a tour around the island it was amazing how many times we stopped to talk to local people out walking their dogs or just heading home for the day. Willie seemed to know everyone and everyone certainly seemed to know Willie! It really hammered home just how entwined with the island the distillery is. We were privileged enough to stay in Jura’s private lodge located next to the distillery and it has to be said it is one of the most amazingly eccentric places I have ever set foot in all my life. Suits of armour, chairs made from deer antlers and a table shaped like a dog were all present in the main room. It was awesome! 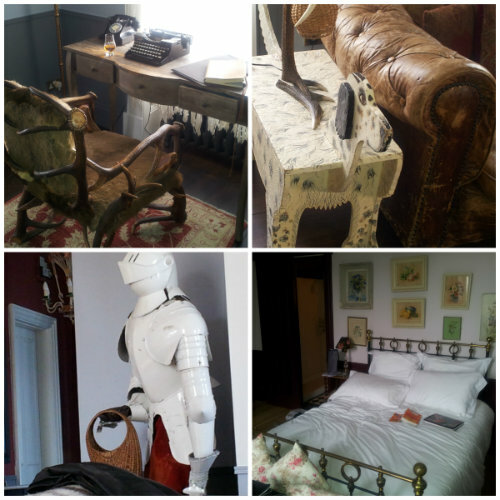 Each bedroom had it’s own individual quirky feel. It was an amazing place to stay and I would like to thank Whyte and Mackay for the chance to rest my head there during the stay. The island itself is stunning. The Paps dominate the landscape and there are amazing views on a clear day across the sea. We had one such view when we stopped to sample a very special whisky. 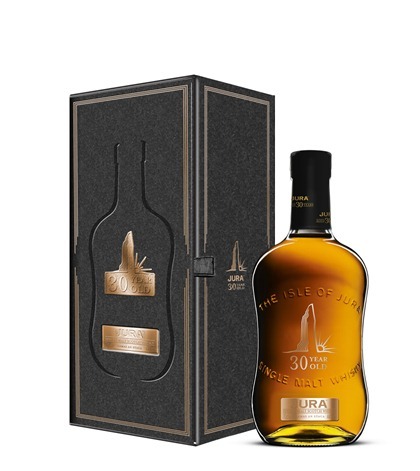 Jura has launched a 30 year old single malt in honour of the ancient Camas an Staca (translating simply to Standing Stone in English.) In all Jura has eight standing stones around the island. The whisky is named after the largest (at a hefty 12 foot tall). 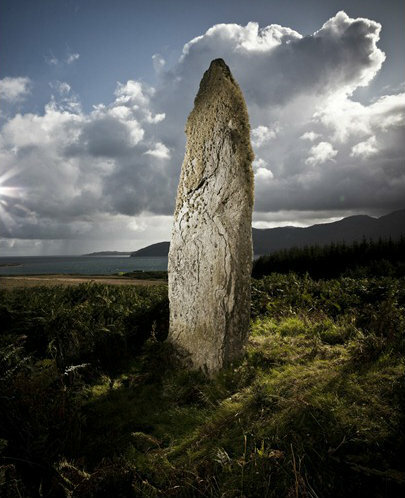 It is thought to be the last remnant of a great stone circle laid down by the earliest Diurach’s to appease the nasty spirits of the island over 3,000 years ago. 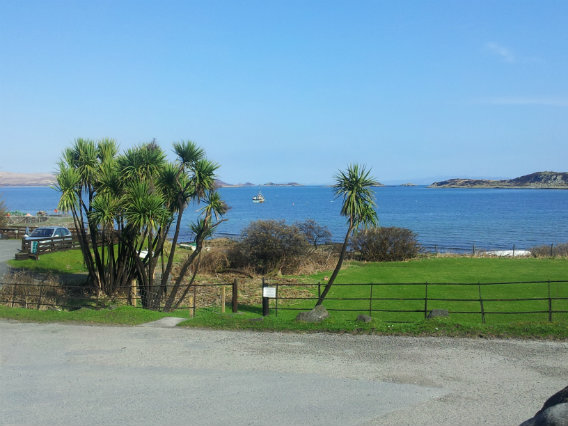 Once again the island has seemed to provide all the inspiration needed to produce a new whisky from the distillery. The whisky itself has spent the majority of its life in American white oak with the final three years being spent in Oloroso sherry butts from Gonzalez Byass. Nose: I’m initially pulled in by the burnt orange peel and cinnamon that reminds me of a warm winter cocktail. Cedar wood comes in before the sweet notes start appearing. It makes me think of eating sweets in a carpenters workshop- lots of toffee, fudge and sawdust. Vanilla and apple appear and a final note of crème brulee finishes it off nicely. Palate: It is all about the sweet tangerines at first and then everything else gets a chance. Nutmeg and cocoa powder come together with vanilla and milk chocolate to bring a real sweetness. Holding the whisky on your palate for a while really brings out the character of the sherry influence with a mild spice and very dry feeling becoming apparent. Finish: Dry with a feeling of cooked Christmas fruits (Tangerines, dried currents, figs). Overall: Really nice. Much better than I remember it being on the island. Although we were outdoors then and didn’t really have proper tasting glassware. I suppose this is one the the rare occasions where the setting hindered the whisky rather than helping it. 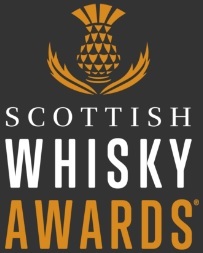 On a side note this article is well overdue and I would like to take a chance to thank everyone from Whyte and Mackay, especially Rob Bruce and Willie Cochrane, for the chance to visit the island and the distillery. I can say that after an amazing first trip I will make sure to get back to Jura to enjoy the amazing scenery and atmosphere all over again as soon as I can. You should try to get there too. This entry was posted	on Tuesday, January 15th, 2013 at 9:32 am	and is filed under Reviews. You can follow any responses to this entry through the RSS 2.0 feed. Responses are currently closed, but you can trackback from your own site.